We gift multiple times a year for many reasons. There are birthdays, anniversaries, engagements, weddings – sometimes multiple in your lifetime, graduations, those days – Mother’s Day, Father’s Day, Teacher’s Day. Then there events like promotions at work, retirements, festivals like Christmas, Thanksgiving, Diwali, New Year, welcome gift to your new neighbour (even it’s the only time you ever set foot in their house), your first gift to your girlfriend, that spontaneous gift for your friend, and finally maybe a gift for yourself. The reasons are many, but finding the perfect gift is struggle for many. Will they like it? What does she want? Should I ask him what he wants? Last minute shopping adventures leave you exhausted. Or you spend hours browsing online for that perfect deal which is ever elusive. Your friend often seems to get better online deals than you. The average American spends anywhere from $600-$800 on gifts during the holiday season – that’s from Thanksgiving to Christmas. But let’s keep money aside for moment and think about the gift itself. In fact, let’s not even start with the gift, let’s start with the person who you are gifting to. We often buy gifts for our nearest and dearest – our parents, our kids, our spouse, our close relatives, and maybe our friends. And most often than not, we buy the gift that carries the least risk with it. Something safe, something that we are presented at the malls or online or we get influenced by what others give. But these gifts rarely produce the wow effect for your loved ones. Like that toaster that you gifted your wife which she used to toast exactly 3 toasts in the entire year. That dress that you had the saleswomen take down from the mannequin for your spouse – that she wore only once a year. That sweater, that your grandma uses to cuddle the cat. You know what I am talking about. We sometimes gift people things that we like, not what they like. Appropriate for the person, for the occasion, for the time and for your budget. There is a tremendous explosion in ideas, products and experiences that can provide a different kind of gifting experience. And when it comes to gifting, the experience matters more than the gift itself. Take a look at some unique gifting ideas that are possible today. Pledge Music: is a direct-to-fan music platform, which brings artists and fans together to share in the experience of music as it happens. Imagine gifting your wife a rare experience where she becomes part of the music making experience for her favorite band. Musicians often open up their music making process and provide you with exclusive access to VIP events, memorabilia and even sneak peeks in the actual music making process. Inspirato by American Express: a luxury destination club if you have the money to afford their membership. They have a great collection of luxury signature destinations, custom experiences and VIP events. Something you can gift your family if you have the cash for their membership. This is expensive, but the experience and destinations they curate are not your usual vacation deals. 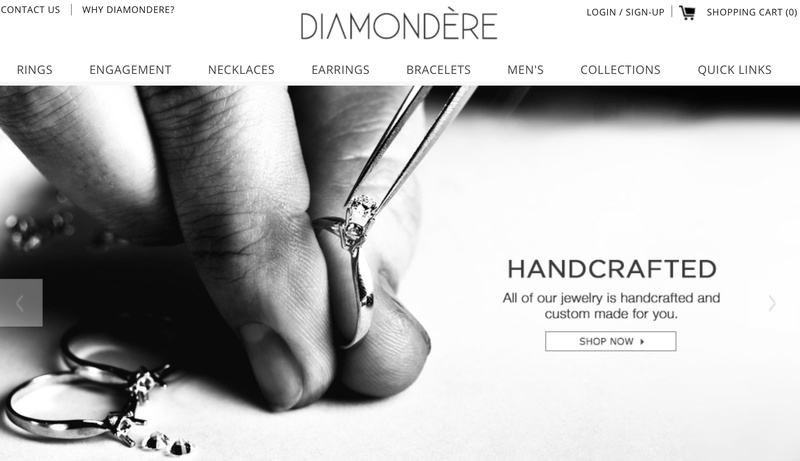 Diamondere: where you can customize jewelry in gemstones and diamonds. Designing your own engagement ring will win you loads of brownie points with your spouse. Check it out. Diamondere has combined the power of CAD technology and the online platform to achieve customization at a reasonable cost, yet provide a nice variety of designs and options that can be configured online. This is a start of a journey to curate, find, and rethink the art of experience gifting. We will look across the spectrum of life, search the world for unique ideas, find people with exceptional talent, and introduce you to a new way of thinking about gifts. I invite you to follow us and open up the world to new gift ideas. We promise to strive to help you light up those life’s memorable moments.